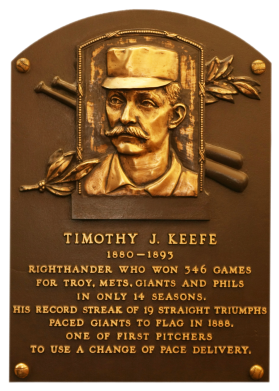 In only 14 seasons, Timothy Keefe won 342 games, one of six 19th century pitchers to top the 300 mark. 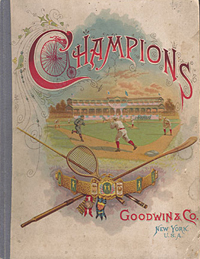 In his rookie year, 1880, he established the record for the lowest E.R.A., an amazing 0.86. 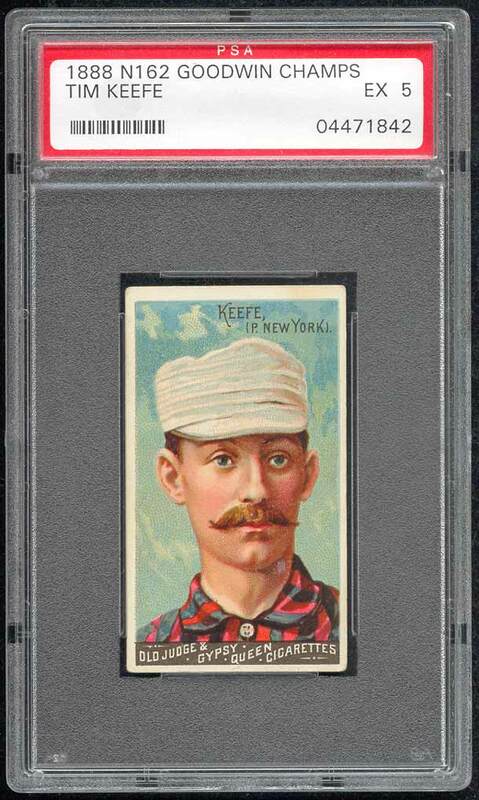 Remarkably, after overhand pitching was legalized in 1884, Keefe continued to pitch-and-win-underhanded. 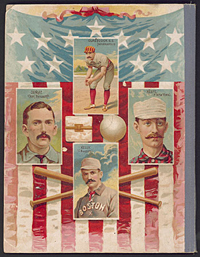 In his best season, 1888, he won 35 games, had an incredible 1.74 E.R.A., and won the NL Pitching Triple Crown. Remakably, he finished his career with two 40-win seasons, and four different 30-win seasons. 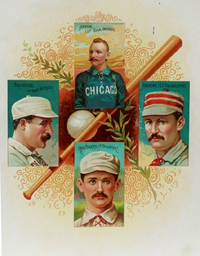 "Sir Timothy" pioneered the use of the changeup to notch a career 2.62 ERA with 553 complete games. He led his league in ERA in three season. Comments: In May of 2005, I pulled off the biggest card purchase of my life up to that point. 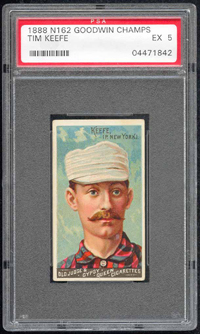 The REA auction closed and I won two cards - this Keefe and a 1887 N172 Old Judge Hoss Radbourne SGC 60. After the auction closed I called and requested signature receipt. I received a tracking number and nervously waited for the cards to arrive. In complete excitement, I waited and waited for the package to arrive and check the Track & Confirm website hourly. Eventually my anticipation was rewarded when the tracking number kicked back "Delivered". How? I wasn't home and the package required a signature. 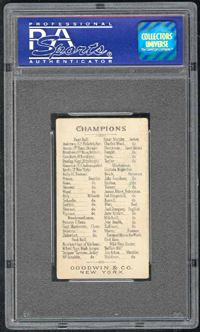 Would you believe the cards were shipped in a FedEx box overnight and left between the screen and front door by a FedEx courier? I was at work and unable to accept the box. This was an emergency. I jumped in the car and drove home to the front door. I was very lucky nobody took off with it. The package was there - in between the screen door and regular door - for all to see, and all to steal. Luckily nobody took the chance. I don't think there's a card in my collection that has better color. 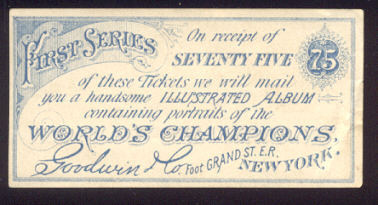 This one screams 19th century in every way and the condition is just spectacular. I love this one and considerate it a favorite. Bright and clean, with flawless colors and perfect registration. Just a hint of corner wear. 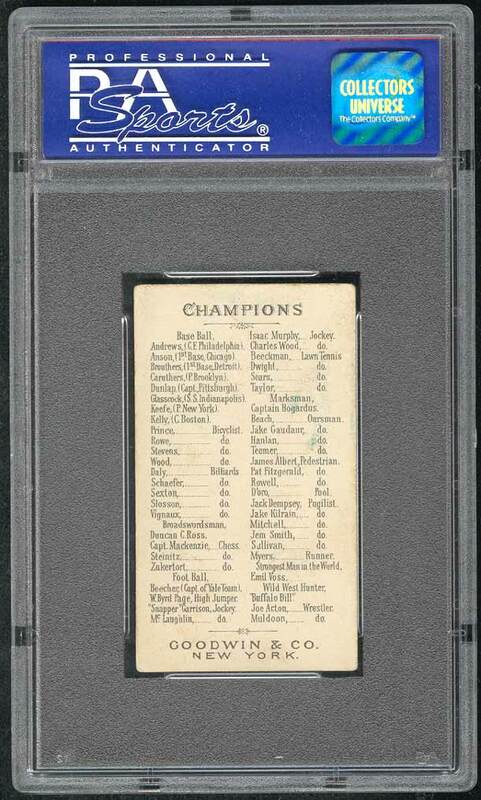 This is a classic nineteenth-century baseball card of one of the era's greatest stars, and an outstanding example.